In a city that runs on technology 24/7, it’s important to stay up and keep up. Whether you’re seeking an exceptional espresso or perfect pour-over, here are 8 terrific spots to get a buzz on in San Francisco. From brothers Tony and Austin Ferrari, the young intrepid young behind the beloved restaurant Hillside Supper Club, comes this tiny but mighty nook in Potrero Hill. The focus here is espresso, as the brothers grew up drinking lots of it with their Italian family. Don’t forget to grab a slab of the highly addictive black sesame banana bread on your way out. It’s tough to imagine a hipper space to enjoy your java than here. There’s white oak covering the walls and floors, lots of white (like on the ceilings and bar), and huge skylights. The bar was designed low and long, to promote interaction and conversation between the baristas, all of whom are super friendly, and the customers. Located in a former warehouse in SoMa, this large (by coffee shop standards) location takes up two whole floors, but still manages to feel warm and welcoming. And it’s the second floor concept, the Top Bar, that will make even the most diehard coffee geeks flip. Watch your barista carefully craft a single origin espresso-based drink using different brewing methods like Chemex and Aeropress. The coffee of choice for chef Thomas Keller can now be yours at this newly-opened, industrial-chic spot in Tenderloin, accented with a huge mural by artist Mona Caron. Not only are the beans exceptional in flavor – they’ve stacked up numerous awards – Equator owners Brooke McDonnell and Helen Russell are dedicated to fostering supportive and profitable relationships with their farmers. 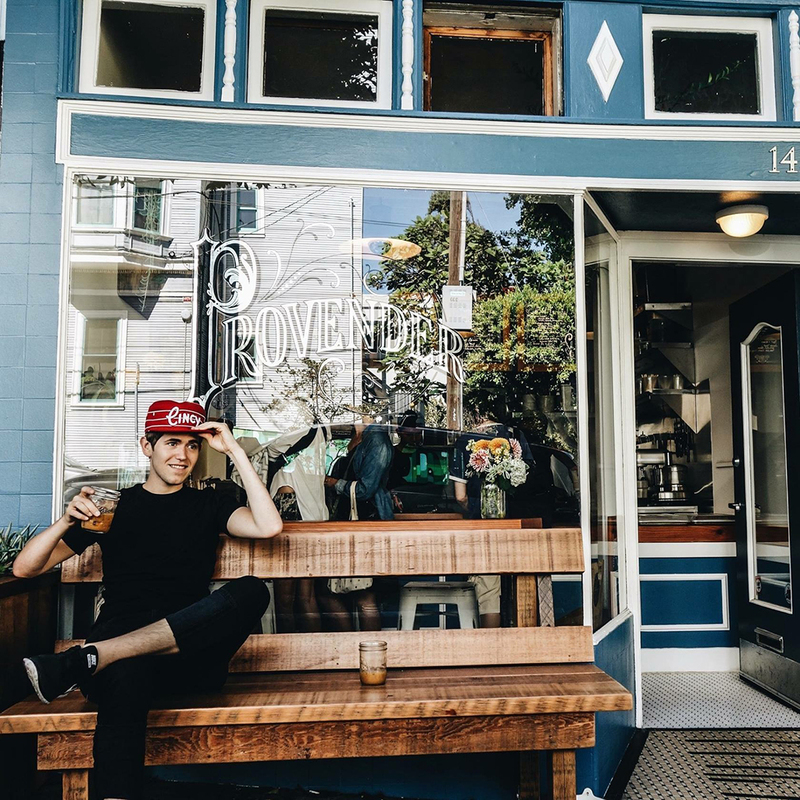 A collaboration between Four Barrel Coffee and Josey Baker Bread, this airy spot on Divisadero is beloved for its incredible coffee (obviously) and hearty toasts. All the bread is baked in-house, and begins with a slathering of McClelland’s salted butter before getting finished with another topping like homemade nutella and apple butter. While they might not have pioneered pour-overs, the now-iconic brand certainly popularized them. But whether you’re drinking a pour-over or Kyoto iced coffee, you can rest assured that it will be executed properly, as anyone who wants to make coffee at Blue Bottle must pass a test in front of a barista jury. In addition, most locations host complimentary discussions, tastings, and brewing classes. Given its plum location smack in the middle of the Mission, there’s rarely a moment when there isn’t a line. But, don’t let that deter you from a visit. If you can only order one thing, make it a latte. Balanced and velvety thanks to whole milk – skim and low-fat aren’t options here – each one is finished with intricate art. After undergoing a spiffy renovation in 2014, Ritual, which opened in 2005, looks and feels much more stylish – think white walls, blonde wood, a quirky light installation, and succulents everywhere. But even as its grown Rituals still maintains close relationships with farmers, roasts beans on-site, and trains their baristas to produce one flawless drink after another.